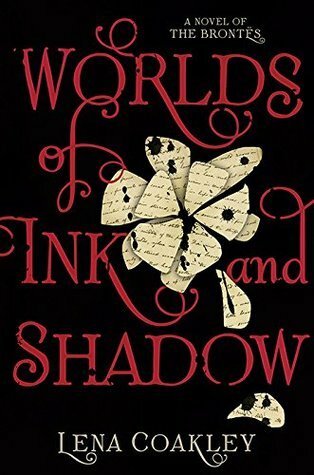 I recently had the privilege of interviewing Lena Coakley, author of the new novel Worlds of Ink and Shadow, a reimagining of the young lives of the Brontë siblings, incorporating aspects of biography and fantasy based on their juvenilia. As something of a Brontë obsessive, I was fascinated to find out more about how the novel and its characters came to the page. Katy Goodwin-Bates: What was it that drew you to writing about the lives of the Brontës? They are hugely popular here in England but I’m really interested to know how someone growing up outside the UK develops such a strong feeling for their work. Lena Coakley: Oh, they’re popular outside of England, too, I assure you! I studied Wuthering Heights in a High School English class, as most North Americans do. (You must imagine thousands of American and Canadian teenagers reading that book with only the vaguest notion of what a moor is!) It’s unusual for a novel to be one of my favourites at sixteen and continue to be a favourite every time I read it again, but Wuthering Heights is one of those rare books. I appreciate Emily’s genius more and more as time goes on. She’s such an enigmatic figure, too. She left very few letters, and, unlike Charlotte and Branwell, seems to have destroyed her childhood writings. I think the mystery of Emily Brontë is one of the things that first drew me to the Brontë family. Because of the absence of fact, people have wound so many myths around her—and, of course, I’m now guilty of that, too! But after all this talk about Emily, it’s actually Charlotte Brontë who became the main character of my book. The more I learned and the more I wrote, the more I grew to admire her. I’m an only child, so I’m fascinated by sibling relationships, and, as the eldest, Charlotte Brontë at eighteen seemed to have an almost unbearable weight on her shoulders. She felt a great sense of responsibility for her siblings. Her father, a poor parson, would leave them nothing if he died—not even their house, which belonged to the church—so it must have seemed as if the sword of Damocles was hanging over their heads. At that time, the only option for a woman of Charlotte’s class was to be a governess, but it wasn’t a profession she was particularly interested in. This seemed like the perfect set of dilemmas to begin a novel with. Katy: The way you describe the Brontë parsonage and moors in the book is so effective; I have visited Haworth a few times, and reading this book made me feel like I was wandering round the house and surrounding area. Did you visit Yorkshire to research the book? Lena: I visited the parsonage twice. There are Brontë fans who go every year, and if I could afford it, I would be one of them. 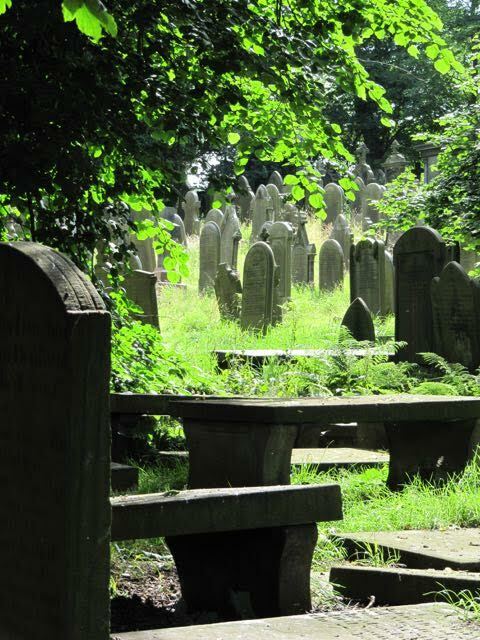 I really understand what Emily and Branwell loved about the Yorkshire landscape. It’s so beautiful—but of course I only went in summer, so I can only imagine what it’s like in the winter with the wind howling. The second time I went I got permission to study in the parsonage archives, which was a rare treat. I didn’t realize until I got there that they only allow two scholars at a time, so I was very lucky to get the opportunity. Katy: Something I really enjoyed in the book was the way in which the respective novels of the sisters seemed to inform your characterization, shaping each character in a unique way. How difficult was it to create a unique voice for each of the characters? Lena: Creating these characters was a little different from creating characters in my previous, purely fictional novels. I had something to start with—the letters, diary papers, and novels of the actual Brontë siblings. However, that research was only the beginning. At a certain point, I had to make these characters up. I think it took me a few drafts to figure this out. I felt a lot of pressure to be true to who the Brontës really were, so I think I held back at first, but no amount of research was going to give me a sense of knowing the Brontës intimately, like old friends, and that’s the intimacy one needs to create a lifelike character. Since all four Brontës are point-of-view characters, I did worry at first that their voices wouldn’t be different enough. However, this didn’t turn out to be a problem. The real Brontës were highly unique people with very distinct personalities, and I think—I hope—this came out when I wrote about them. Katy: Branwell is by far the lesser known of the Brontë children. Did that represent a greater challenge for you in writing him, or make you feel more free with your presentation? Lena: Of all the Brontë siblings, Charlotte is probably the easiest to get a clear picture of. Not only did she write more letters, but she lived long enough to enjoy her fame, so we have the impressions of the people who met her. Oddly I found Branwell the second easiest to get to know through research. He may be the lesser-known sibling, but many of his childhood writings still exist, and I was able to find most of them in archives, rare book libraries and online. In fact, he wrote one of my favorite juvenile novels of the Brontës, Real Life in Verdopolis, a companion novel to Charlotte’s High Life in Verdopolis. He was also the most extroverted of the siblings, so there are accounts of him from friends and acquaintances. You’re right, though, in the end it was easier to fictionalize Anne and Emily because I could invent more. Katy: While reading Worlds of Ink and Shadow, I developed a strong sense that Anne is your favourite. Is that accurate? What particular feelings do you have for each of the siblings? Lena: I love that you thought that! Throughout the writing of the novel, I was afraid I was giving Anne short shrift. She’s so wise and sensible that she sidesteps a lot of the pitfalls her older siblings fall right into—and this keeps her away from some of the drama. I am very fond of Anne. People tend to think of her as the lesser Brontë sister, which is entirely unfair. I didn’t read her great novel, The Tenant of Wildfell Hall, until I was an adult, and when I did I was completely bowled over. Charlotte hated this novel, and I believe that her failure to support it after Anne’s death may contribute to its being lesser known to this day. Still, I don’t think I’d call Anne my favourite. Is it a cop-out to say I don’t think I have one? I love them all. Katy: Worlds of Ink and Shadow’s marketing places it as a YA novel. Is this how you see it, and is that how you envisioned it before and during writing? I ask because I assume it would hold a lot of interest for adult readers who, like me, have a strong attachment to the sisters and their works. Katy: The Brontës and Haworth seem to be very fashionable with novelists at the moment; I’ve read two other books recently which use them as their subject matter, each taking a different approach to their story. Do you have any theories about why the Brontës seem to be so suddenly en vogue? Lena: April 2016 will be the 200th anniversary of Charlotte’s birth, and I think that has a lot to do with it. However, the Brontës will always go in and out of fashion. I think there is a renewed interest in gothic literature these days so people are taking another look at Jane Eyre and Wuthering Heights and reevaluating their place in the canon. Also, the lives of the Brontë sisters are just so interesting! How did three geniuses come out of the same family? They were poor; they lived in a small factory town; they hardly went to school; their father wasn’t a particularly distinguished person—so how did that happen? I think that’s a fascinating question people will be asking and answering in every generation. Worlds of Ink and Shadow is available now at GPL. 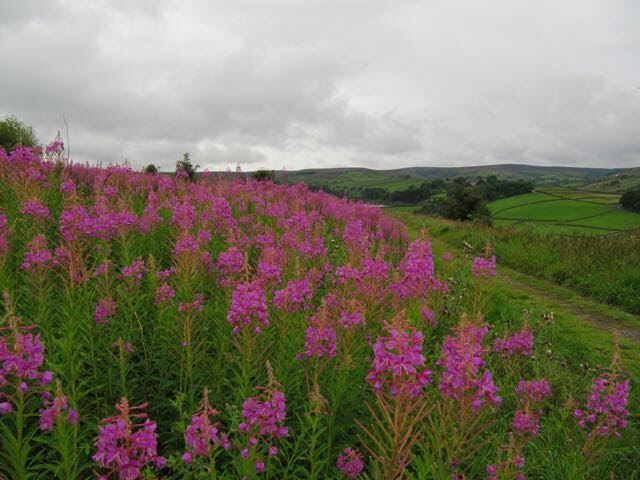 Both landscape images were taken by Lena Coakley on a visit to Haworth, Yorkshire, England.